The Washihara Hachiman-gu was built with the divided spirit of the Tsurugaoka Hachiman-gu of Kamakura and has a history of 600 years. 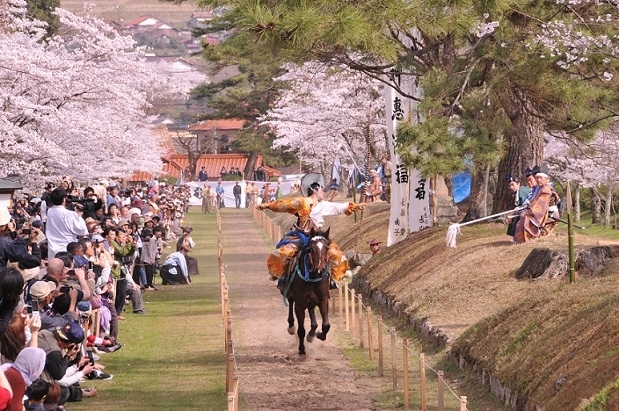 The 270 m long vast horse-riding ground for Yabusame, Japanese horseback archery, located at Washihara Hachiman-gu is the only original horizontal horse-riding ground left in Japan and is designated a historic site of Shimane Prefecture. 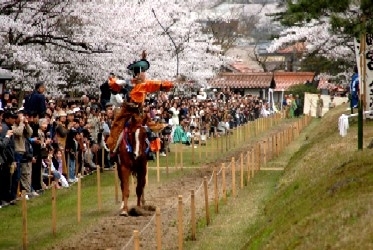 (2) It is a 10-minute walk from a Roadside Stations "village of the Tsuwano Onsen Nagomi"